We all get angry. Some of us aren’t comfortable with this fact, so we try to push it away. Many people have been taught that being angry isn’t nice, and somehow makes you a bad person. They think that if they get angry, other people won’t like them; so they try to avoid expressing anger at all. To them this feels like they have solved a problem: they don’t express anger, therefore everyone will like them, so they will be happy! Sadly, it doesn’t work like that. You see, when there is anger but it doesn’t ever get to come out, it will inevitablystart to come out in other ways. Sometimes the person who can’t show anger will become unwell, physically or mentally, with things like stress, heart disease or blood pressure. Or they may stay unhappy, or never feel fulfilled – and of course the reason they are angry in the first place doesn’t go away, so they become frustrated and perhaps depressed. Sometimes people bottle up anger so much that one day it just comes out in an explosion of rage; which can often be very destructive for people around and may damage relationships. There are the other sorts of people, of course, who get angry about everything. They can’t control their anger, and at the slightest provocation (or sometimes none) they will get into a towering rage and lash out at others. Perhaps they fear that if they don’t express anger, they will not get what they want. Perhaps they have a need to control other people and cannot tolerate when other want something different from what they want. These sorts of people also have relationship problems, because no matter how much someone is good it is to be with them most of the time, this sort of anger can be so frightening and destructive that often people choose not to be around them. 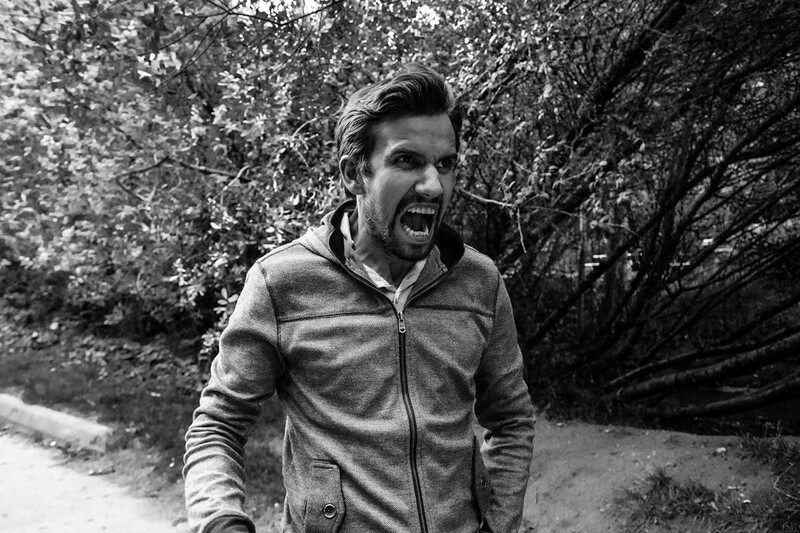 People can lose their closest relationship, their children, their friends and their jobs by being unreasonably angry.This sort of constant anger also leads to dangerous symptoms of physical and mental ill-health. So what can we do about anger? Well, the first thing to do is to understand it. Whether we are too angry or not enough, we need to understand what role anger plays in our lives. The first thing we can do is to look at the messages that we have been given about anger. What did our parents teach us about anger, both by what they said and what they did? Were we taught that anger is never OK, and that we won’t be liked if we get angry or insist on having something for ourselves? Or were we taught, perhaps by seeing an adult getting angry, that anger is the best way to get what we want in life? Either way, it is as if we have been given a script for our role in life, which we just have to repeat over and over again. The next thing to do with anger is to question the habits of thinking and feeling that we have got into. Is it true that people will like me and be nice to me if I don’t let them know that I’m angry? I don’t think so! Are people always nice to you now, when you keep your anger to yourself? Not always. And if you express a bit of anger, does everyone hate you? No, they don’t. Perhaps that script you were taught is actually wrong. People tend to think that expressing anger and keeping it in are two ends of the spectrum; but that’s not the way it is. Really, both expressing anger and keeping it in are on one end of the spectrum, and the other end is handling anger properly. So where we have come tois this: whether you have a problem with too much anger or too much keeping anger in, you don’t have to live like that. Anger can be used as a creative force that can be healthy and doesn’t have to take you where it wants you to go. On this website you can get help that will enable you to express yourself in the way that is right for the situation; so don’t let anger run your life – live your life the way you choose!